Alchemy of the Goddesses was formed to help all who would like assistance on their soul’s journey. As an example, we offer a place for healings, private readings, teachings and classes, that help you heal from current and past events and traumas. We share our remembrances of many lifetimes and bring forth the ancient knowledge and wisdom of self-love, a belief that our Creator/Source/God (any name that resonates with you) works in tandem with Mother Goddess/Gaia (Mother Earth) and that all life is one. We show you and teach you about the tools available on how to live an enlightened, loving, and joyful life. 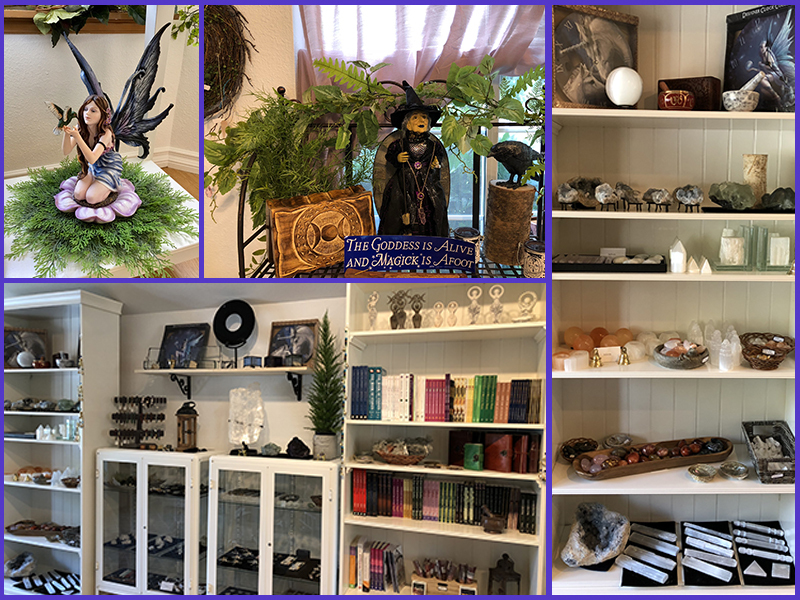 Our small storefront also provides items such as healing crystals, oils, sages, lavenders, incense, prayer cards, information, and much more to assist you in reaching your full Divine potential. If this is your kind of place, we welcome you and are honored to share this journey with you! We are the owners devoted to helping you - Dr. Brie Gibbs & Kelly Gibbs and Theresa Hebert & Larry Crozier.